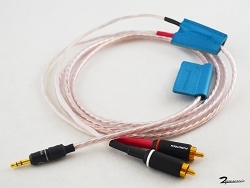 Speaker Amp to Headphone Adapter Cable - Listen to headphones from speaker amp binding posts. Connect with bananas, spades, bare wire, etc. Many of the newer headphones like planar magnetics like more wattage than your headphone amp can deliver. Have you been wanting to find out what those headphones sound like with the extra juice from your speaker amp? 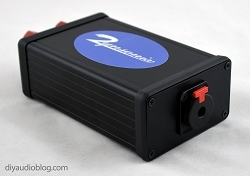 Wonder no longer, the Xev speaker amp to headphone converter delivers the wattage to your ears in spades. 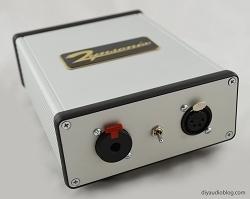 Note that speaker amplifiers have some impedance differences from headphone amps, and headphones detect noisy power supplies better than speakers, but many of my clients have had successful implementations. 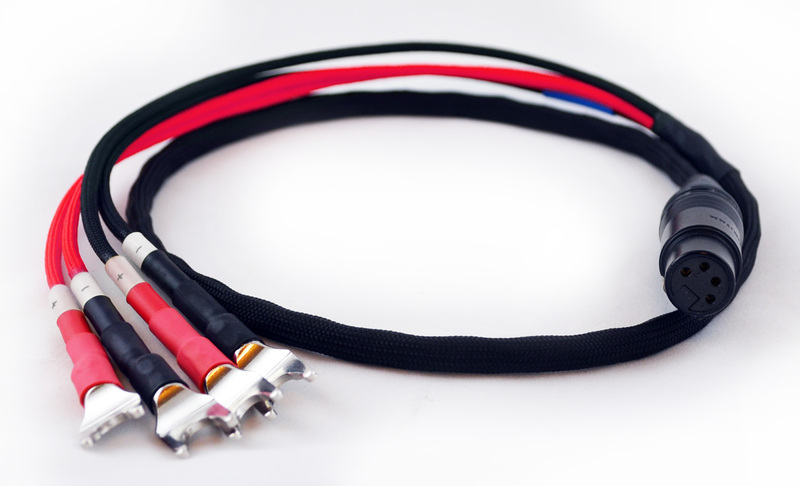 PLEASE NOTE: This adapter can damage headphones and other equipment if used improperly. Turning up the volume too high or using with a tube amplifier with output transformers can cause damage. 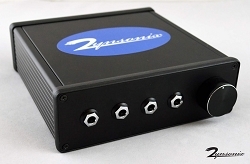 If you have a tube amp with output transformers, please opt for the Zynsonix adapter box, it uses the proper resistors to prevent shorting.